What is music? Has it got any power to soothe the aching mind? Does the soul take a new body in one year? Does it take ten years? How long does one live upon the subtler planes before reappearing on the earth plane? Politics has become the God of the day and is more so in India. Religion has come to be regarded as a superfluous thing. How then is it possible to make everyone believe in God and religion? thrust upon most people due to socio-economic forces. ” How can we condemn and deprecate womankind? I think that there is nothing unholy in this universe. How does a person feel when he severs, all of a sudden, all relationships with this mundane world for embracing Sannyas? Does a full-fledged Yogi not feel tempted to test his Yogic powers? Is such testing justified? selves, i.e., their progress, by virtue of the powers they might have acquired. By now the first disciples had gathered around Lord Jesus. The Pharisees on one occasion found Jesus’s disciples plucking corn on Sabbath Day and eating it. When this was brought to the notice of the Lord, He said: “The Sabbath was made for man and not man for the Sabbath; so that the Son of Man is lord even of the Sabbath.” This greatly displeased the Pharisees who waited for another opportunity. be too busy. This means determinism which leaves very little scope for individual effort. A esta gran Comunidad de Yoghis, en estas festividades navideñas -festividad de recogimiento, unión, reflexión y renovación de voluntades para el peregrinaje en pos del Sagrado Silencio y las Sagradas Palabras-, venga un fortísimo abrazo y los mejores deseos para que juntos sigamos creciendo en el Servicio. ¡Que Cristo renazca en nuestros corazones! Hare Krishna, Hare Shiva, Hare Cristo. Eduardo Mendoza, desde Lima, Perú. happy through the performance of good deeds, self-discipline and right effort. May we all experience the birth of Christ Consciousness again and again. May Love and Peace Prevail on Earth. If you can, please join in Holy Midnight Meditation today. Christmas is named after Christ. 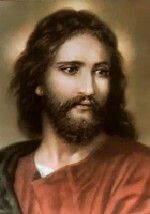 This is the birthday of Lord Jesus, the Saviour Christ, the Yogi of the East. He was born in a stable at Bethlehem, of Mary and Joseph, the obscure village carpenter. Mary and Joseph made the stable a home for Christ, the King, the Prince of Peace. The birth of Jesus is celebrated all over the world as the sacred Christmas.